It can often be valuable to know the finer details about your computer, whether discussing with friends, finding upgrades for your existing hardware, or (in the worst case scenario) discussing it with tech support after something has gone catastrophically wrong. 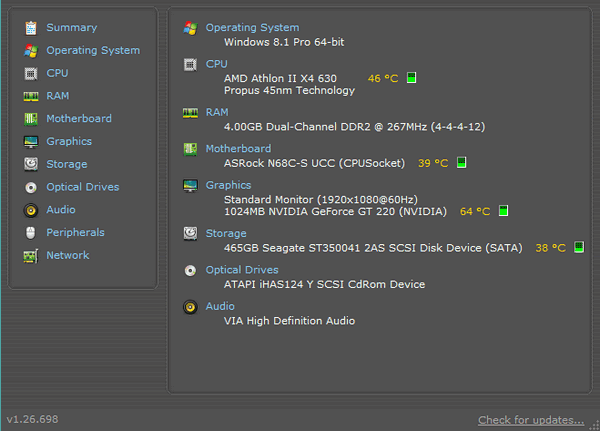 Few people know how to find their system specifications, and even fewer would be content with opening their computer to find parts that may not have obvious branding. There are at least three popular tools available online for finding your computer’s specifications. No old-school tools are needed, nothing has to be opened; it couldn’t be much simpler, in fact. Perhaps the most well-known of the tools, CPU-Z has been an option for several years and can be modified slightly if you’re concerned about the program’s appearance. The modifications are minor at best, and CPU-Z isn’t winning any awards for its beauty, but it is a rock-solid tool for finding out computer specifications. 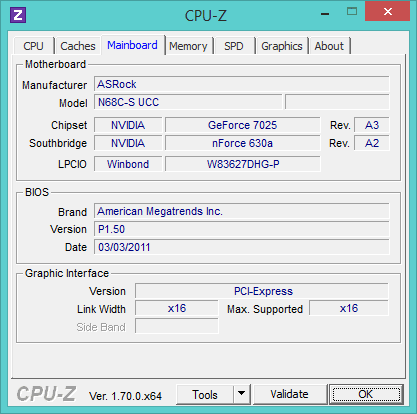 In addition, CPU-Z is available for 32-bit or 64-bit computers, meaning it’s a universally usable tool. Outside of just finding out your computer’s specifications, a few of the buttons in CPU-Z provide other useful options, such as the ability to search for updates to both drivers and the computer’s BIOS. While this could always be done without the aid of a piece of software, it is encouraging to see that the developers are encouraging people not only to know about more about their computers, but also how to care for them. 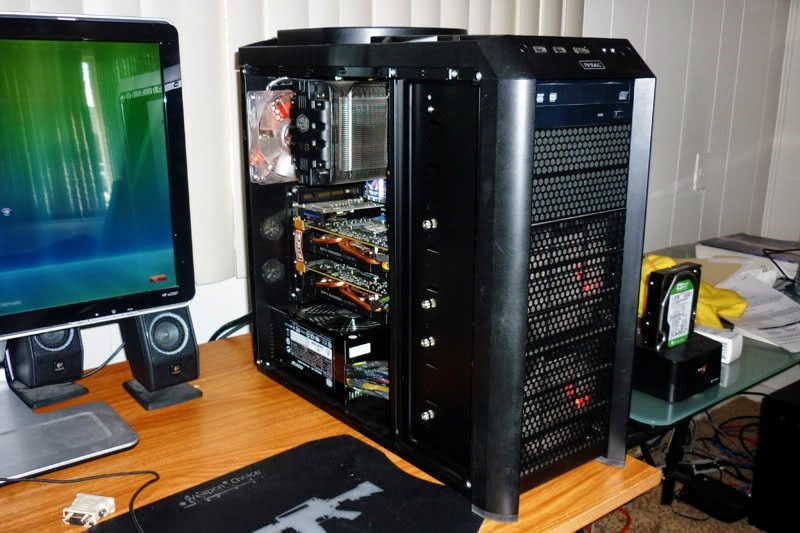 The name might be a little strange looking, but HWiNfo is one of the other major options for those seeking to discover more about their computer. Unlike CPU-Z, it is available in portable form, meaning that you could use it to help with a friend’s computer or to work with your own. The UI differs considerably from CPU-Z, proving that there is some flexibility in this field. 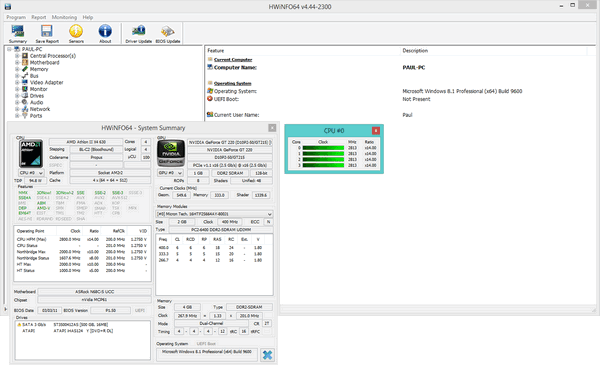 HWiNfo displays a main window as well as two floating windows containing additional information. Where it excels, however, is in the depth of the information it is able to provide. HwiNfo was able to report about the operating system as well, including the fact that UEFI boot (also known as Secure Boot) was disabled on our test system. Going further than this, it was able to determine when the RAM modules in the computer had been manufactured – impressive information, and potentially useful if a certain batch was known to cause problems. 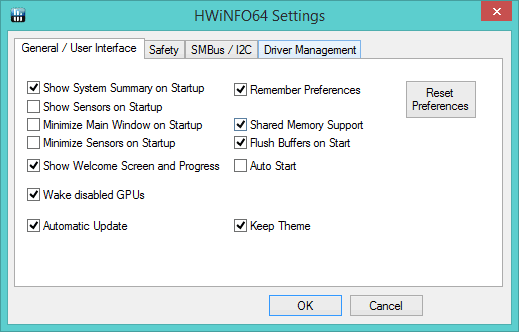 HWiNfo also includes a huge array of different settings, which can be toggled and played with at will. 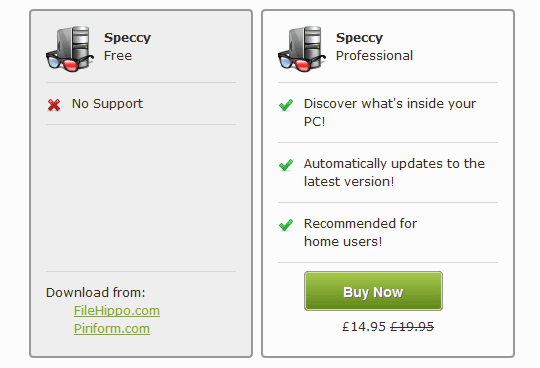 Annoyingly, Speccy came with an installer promoting bloatware, so do be careful when installing it to make sure that you avoid installing toolbars or other unwanted additions. 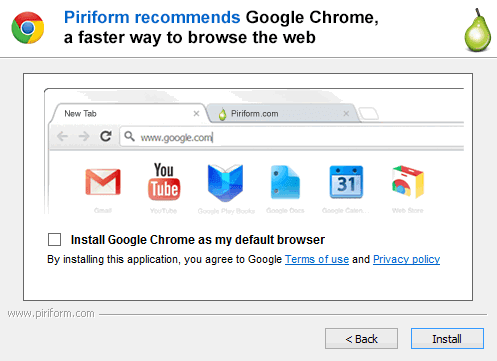 While the installer was offering Google Chrome in our case, which is in truth a very good web browser, that’s not to say future revisions may have different offers. When in doubt, decline these offers of additional software. Once inside the actual program, Speccy is quite elegantly laid out on a dark grey background. Again, the layout differs quite substantially from the other tools we have looked at; the actual information provided is much the same across all three, so this is quite an important factor, given that it is one of the few areas in which all options can differentiate themselves. As the pictures throughout illustrate, all three programs offer quite different interfaces, but largely the same functionality. Of the three, it appears that HWiNfo provides the most in-depth information, with such minor details as the date of RAM manufacture. Ultimately, this information isn’t going to be useful for our usage scenarios, such as dealing with tech support or finding upgrades, so may only influence your opinion if you wish to find more advanced information. For simplicity and ease of use, it is hard to look past CPU-Z. While dated in appearance, it’s quick and easy to work with, providing only the most essential information in a logical format. Development is ongoing with all three programs, so CPU-Z’s future – as with its competitors – may change their focus or appearance entirely.